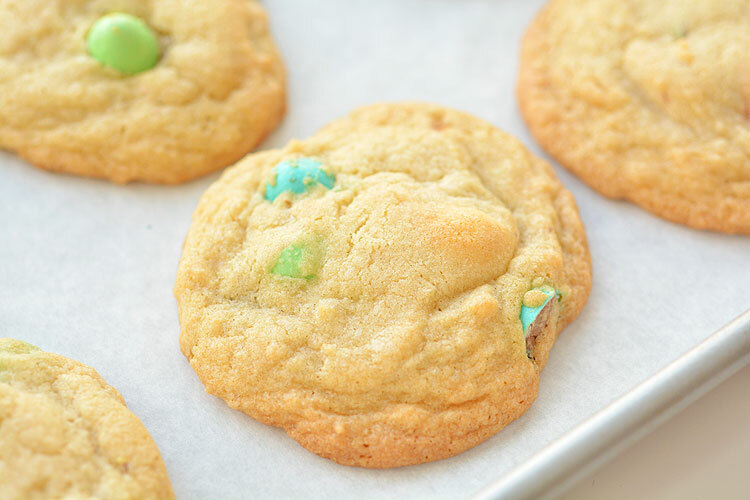 This colorful treat from the blog Lil Luna is sure to be a crowd pleaser, and it’s easy to share with friends and family. The best part: it only takes 5 minutes to make! 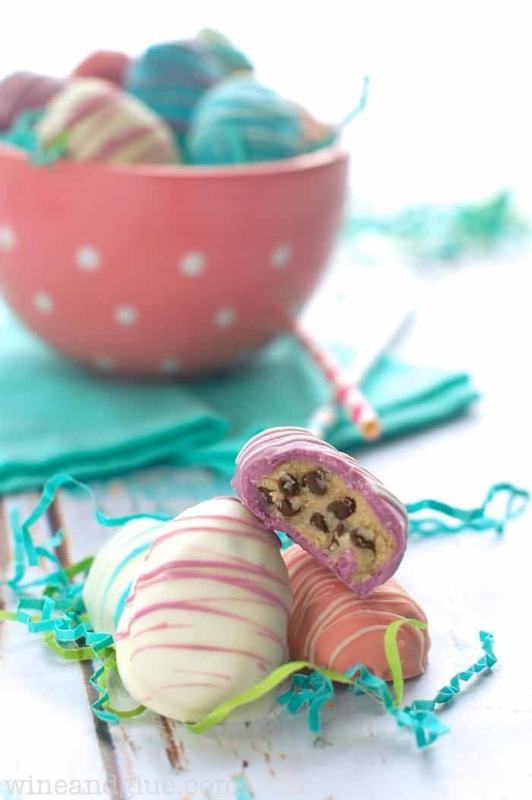 Cookie dough is delicious on its own, but what about cookie dough truffles?? As Lisa from the blog Wine and Glue says, these truffles are beautiful on the outside and irresistibly yummy on the inside! 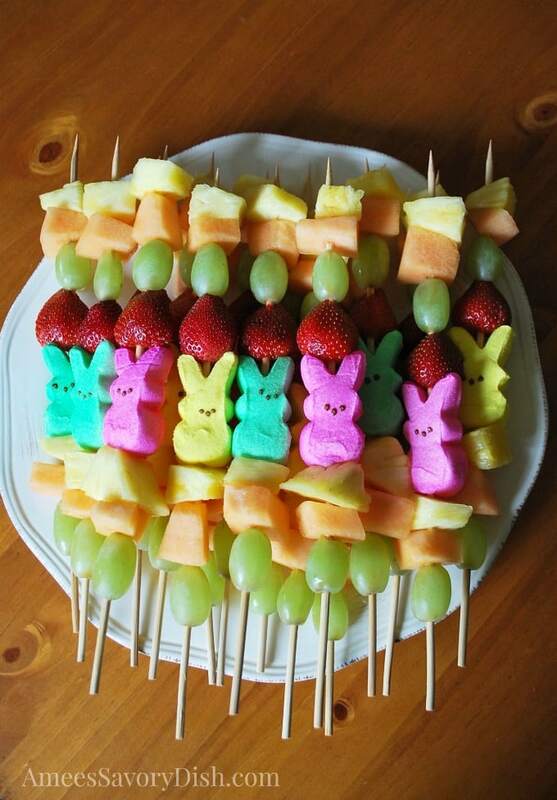 Peeps might not be the healthiest thing for your kid to eat, but adding some fruit into the mix will make it a little better and lot more delicious! You can find this recipe at Amee’s Savory Dish. 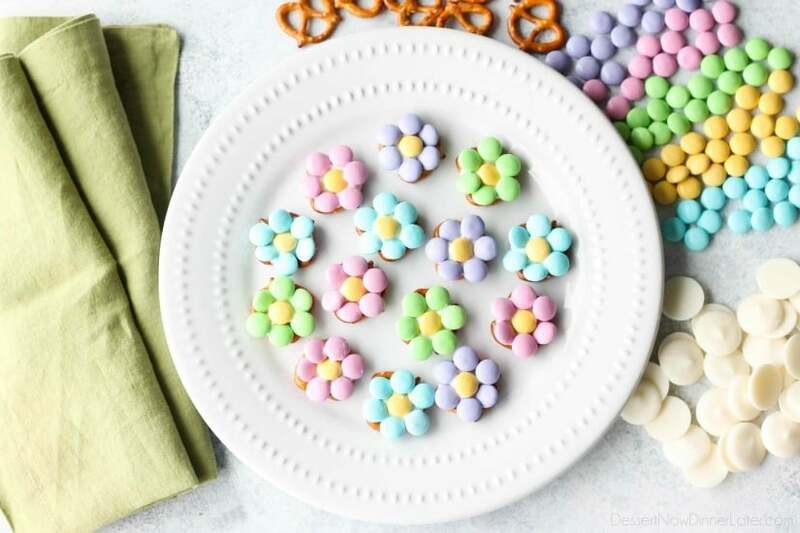 Have a sweet and salty combination with this recipe for flower pretzel bites from Dessert Now Dinner Later! They’re super cute, and we bet they’re just as delicious. Plus, they’re very easy to make! I think people would agree that Cadbury Eggs are one of the most quintessential Easter candies. Why not put them in some cookies? This recipe is thanks to Debbie from One Little Project! How adorable are these mini bird nests? And as far as desserts go, this is a pretty healthy option: they’re gluten-free, dairy-free, and vegan! If you want to treat yourself without guilt, this recipe from Joy Food Sunshine is a great option! Once again, no baking required for this recipe! 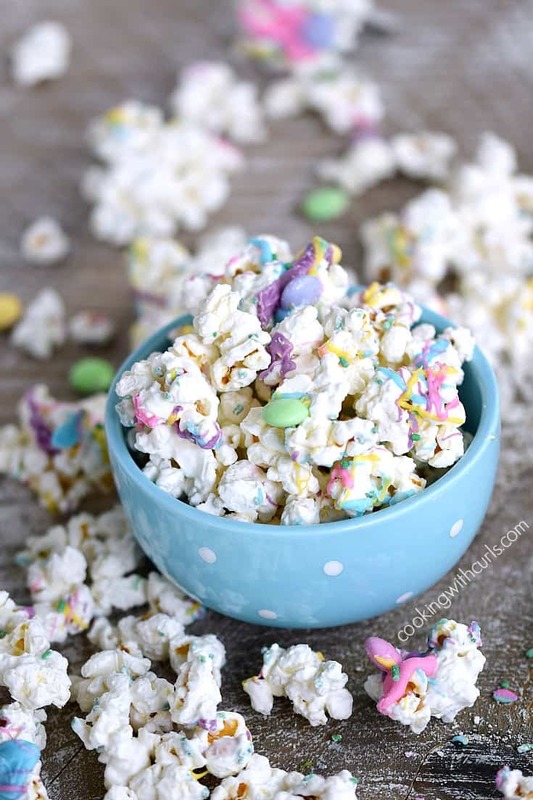 This popcorn is easy to make, colorful, and delicious. You won’t want to limit yourself to just springtime for this recipe, so Cooking with Curls has included ways to adjust this recipe for different holiday themes. 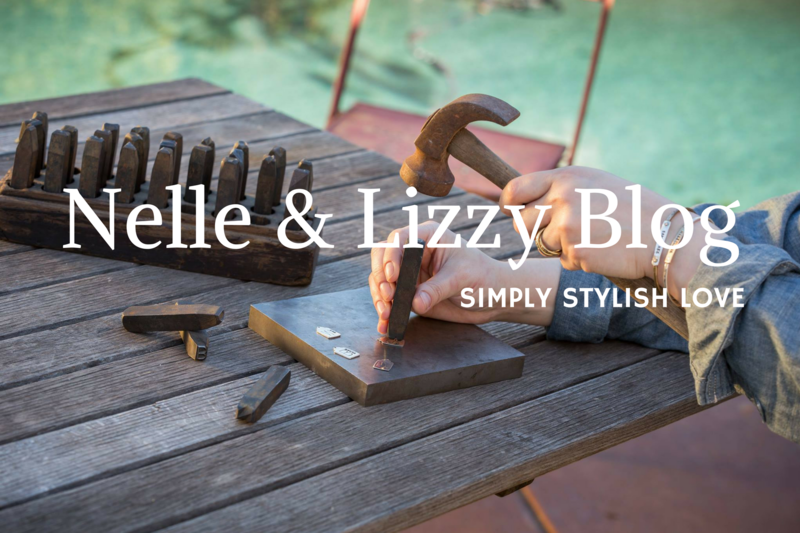 From everyone at Nelle & Lizzy, have a happy Easter! 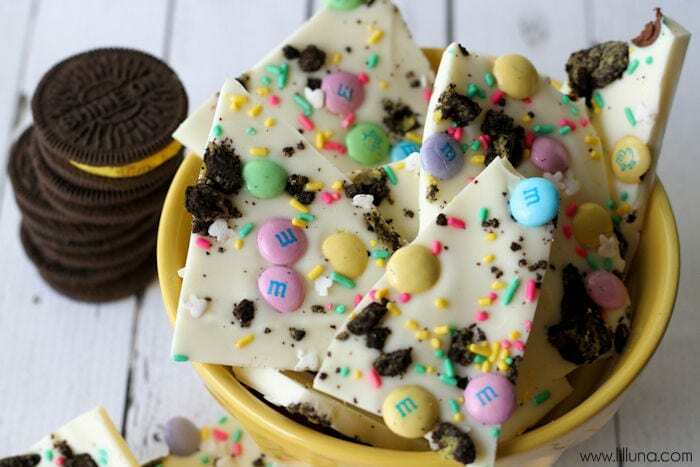 If you end up trying these recipes, let us know how it went in our comments section! 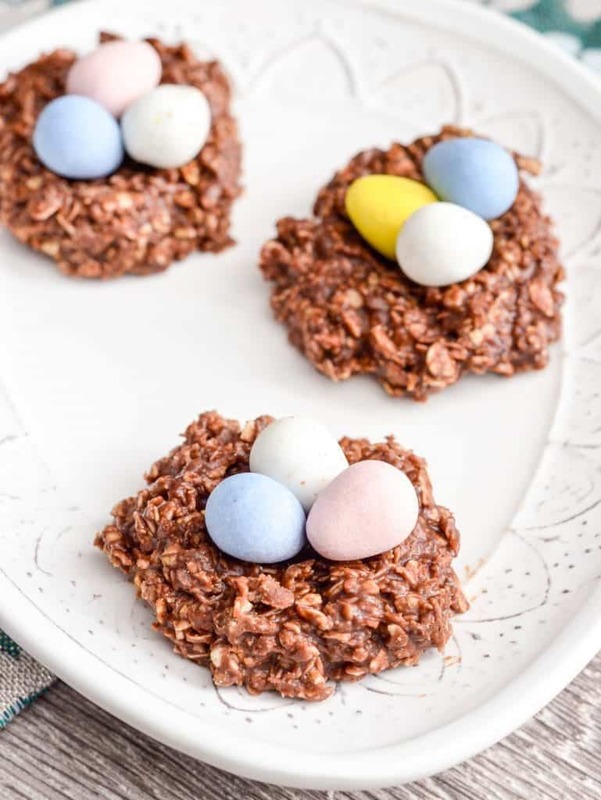 Find these recipes and more on our Easter Pinterest board.